Rick will sign books at the Raspberry in Sylacauga, Alabama on April 25st. He and his wife Jilda will also perform with the Nashville Songwriters Association of Sylacauga beginning at 7 p.m.
Rick and Jilda will did a CD release Party on November 23, at Hart and Soul Coffee House in Homewood. 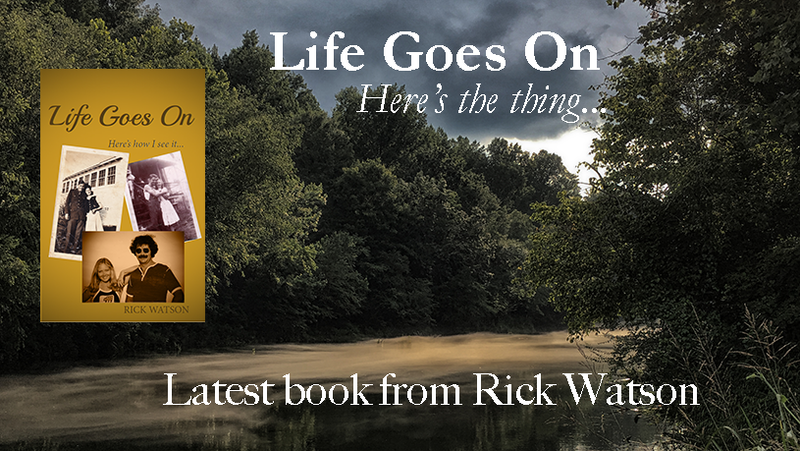 DeKalb, Mississippi from 5 p.m. until 7 p.m.
Rick will be signing books at the Book Nook in Sylacaga, Alabama on March 9th from 1 p.m. until 3 p.m.
Rick appeared at the Weogufka Center's Author Event on April 6th.